These Autumn lanterns are pretty and easy to make. And perfect for Thanksgiving! 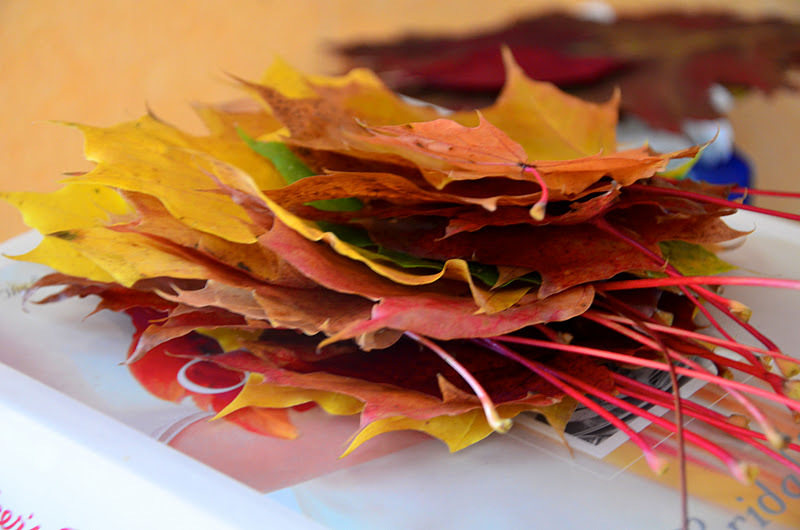 First you need to gather some pretty colorful fall leaves. Make sure they are dried well and not damp from being outside on the ground. 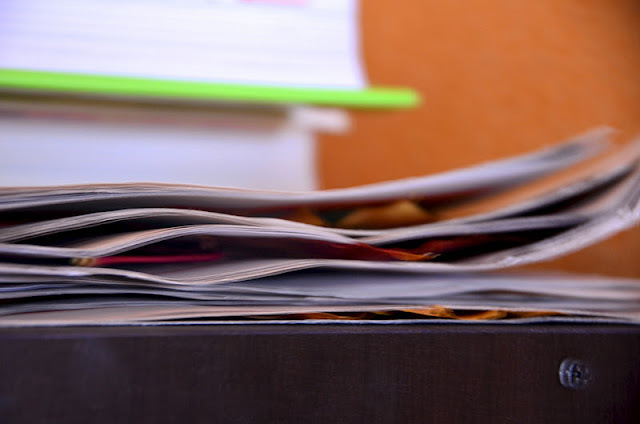 Lay them between pieces of newspaper and stack heavy books on top of them for a few days to press them flat and help dry them out. 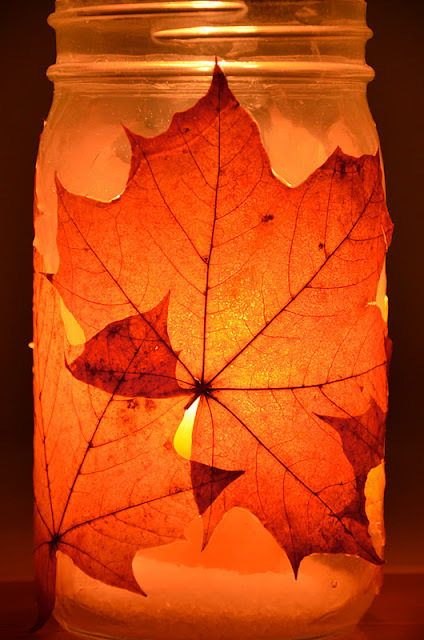 Once the leaves are dried a few days later, you can start the work on your lanterns. 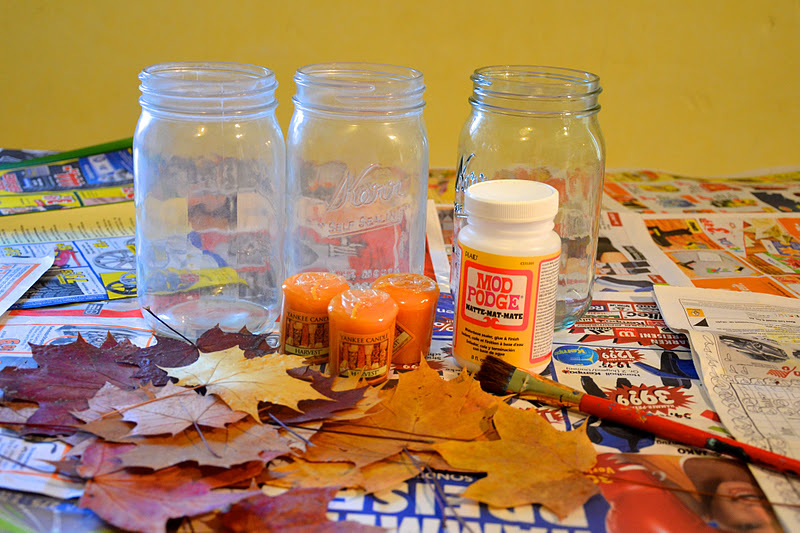 Gather up your supplies: glass mason jars, mod podge, leaves, paintbrush and candles. (I used Yankee Candle- Harvest for my candles.) You may also want newspaper to protect your table and rubber bands for stubborn leaves. Coat your jar with a layer of mod podge. 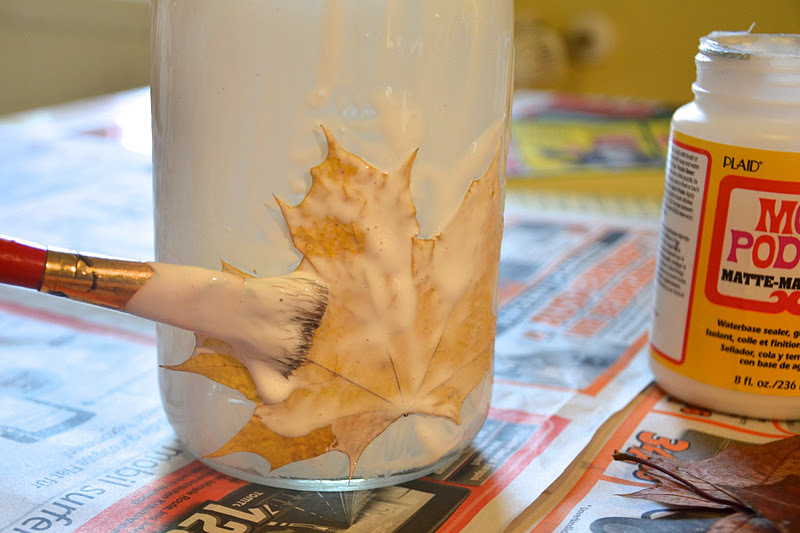 Place your leaves on top and coat with another layer of mod podge. I broke off the hard stem of my leaves before using them on the jars. Layer leaves around on the glass, overlapping slightly in a pretty pattern. and help hold them down tight to the jar using rubber bands. I let my jars dry about 24 hours. 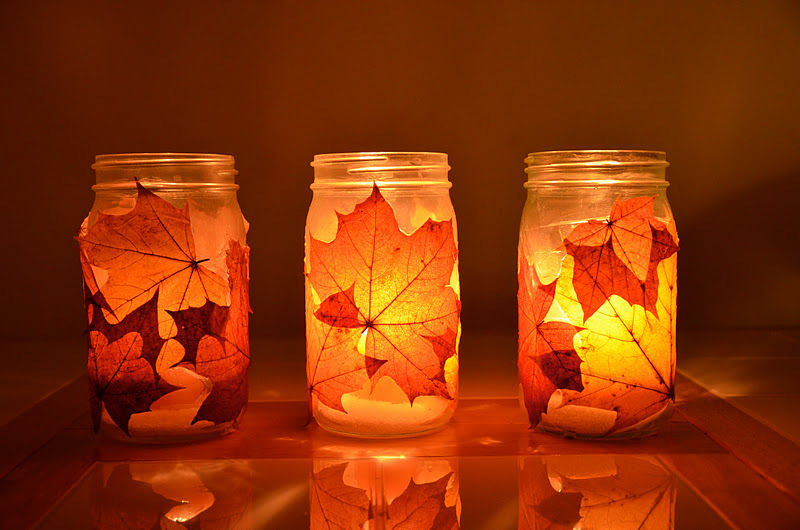 Place candles inside and light them for a pretty autumn lantern. LOVE these! 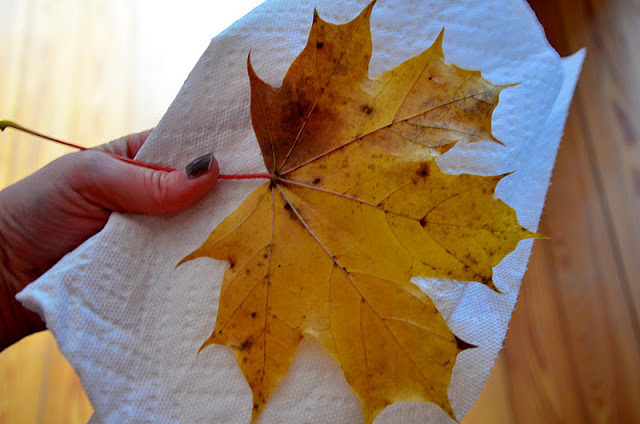 We don't have any cool leaves in Arizona, but I'm headed to California next week and I'm planning to collect some now! :) Thanks for sharing! I bet you could use silk ones from the craft store. Put them in a plastic sealable bag. So bugs like ants tics don't get onto your clothing. Wow! I love these. I better get on this project before the leaves are all gone! oh wow Cat these are beautiful!!! So pretty, i am going to do it too! I know its an older post but do you think silk leaves would work? I haven't tried it with silk leaves but I bet they would work. Let me know if they do! What an awesome idea, and inexpensive. 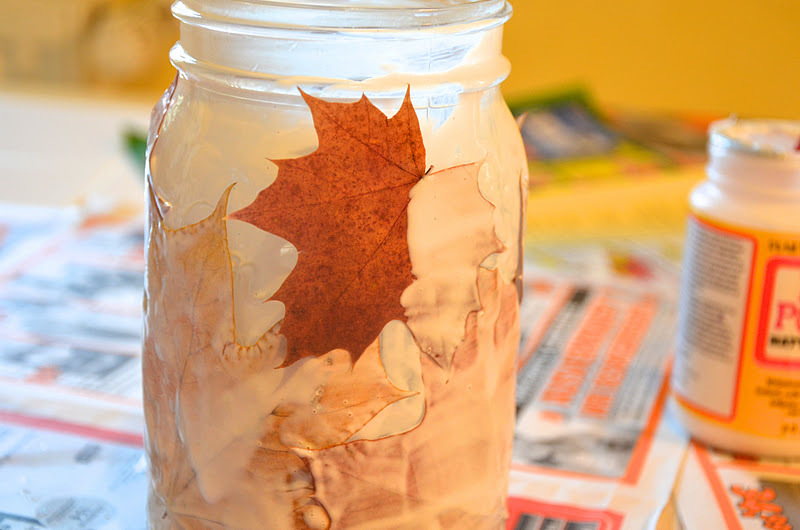 I am going to do this next fall for my Red Hat and use them as centerpieces. Would love to hear an answer from those who tried the silk leaves and from the post from anonymous on Oct. 8th 2013. 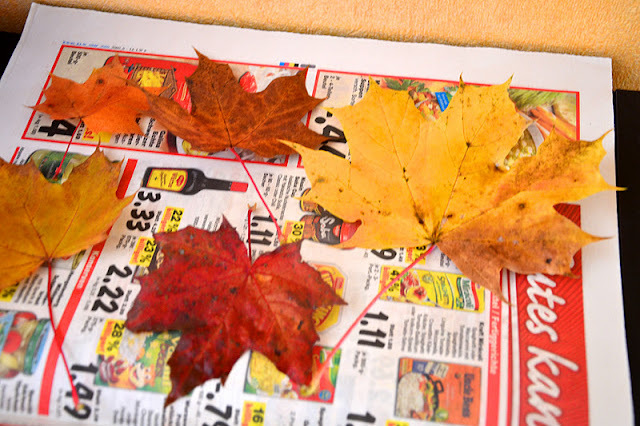 I, too, am curious about whether the real leaves would keep their original color and/or dry and break. Hope someone can help with answers. Thanks. 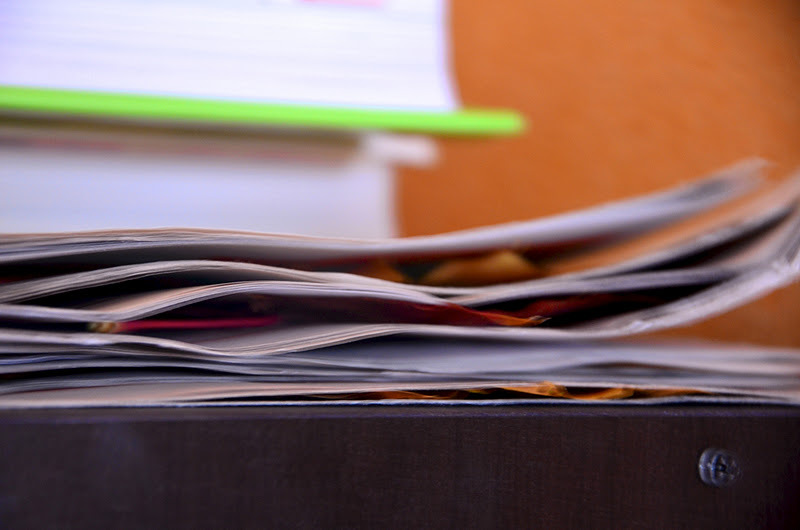 They do eventually fade and dry out, especially if you have them burning for a long time. But that's OK. Just wash them off when you're done, save the jars and do something like this is the spring, then the summer and again next fall! 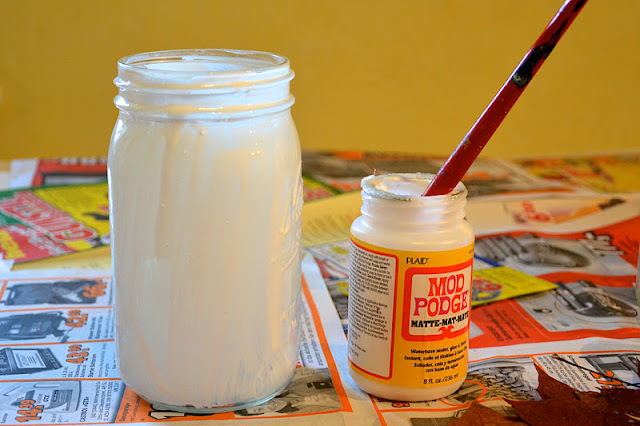 Can't find "mod podge" on the web. Where can I find it or what can I use as an alternative? Any craft store should have it. Michaels does for sure! I found the leaves difficult to stay in place. The rubber bands definitely help. Do you think the silk leaves or flowers will be as transparent the real ones? Very nice look .Some thing different i will try . Very nice look .Some thing different i will try it.